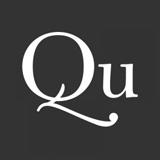 Quid builds software that augments human intelligence. We're defining a new market and pioneering technology that helps strategic thinkers make decisions in a fraction of the time. Quid algorithms reveal patterns in large, unstructured datasets and then generate beautiful, actionable visualizations. Our mission: We power human intuition with machine intelligence, enabling organizations to make decisions that matter.